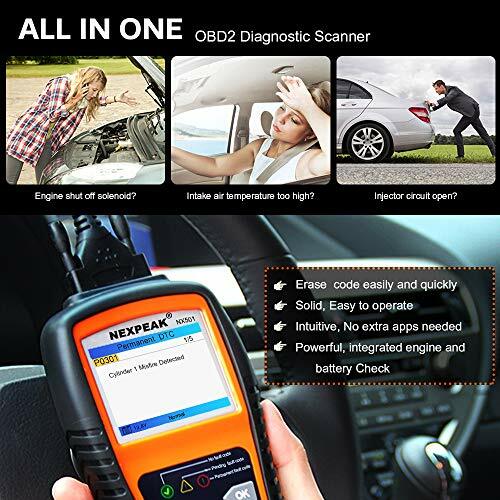 Read and Clear Check Engine Light: The NAXPEAK NX501 OBD2 will read and clear Stored, Pending, and Permanent codes for the vehicles that support obd2 protocols. 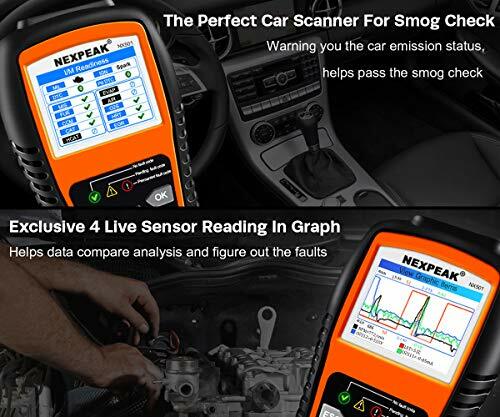 Locate Bad O2 Sensor: Help to find out which O2 sensor is bad, reduce exhaust pollution and help you pass the smog check easily. Live Data in Text or Graph: Display Real Time Sensor Data in Text / Graph mode, help to find out the car errors quickly. 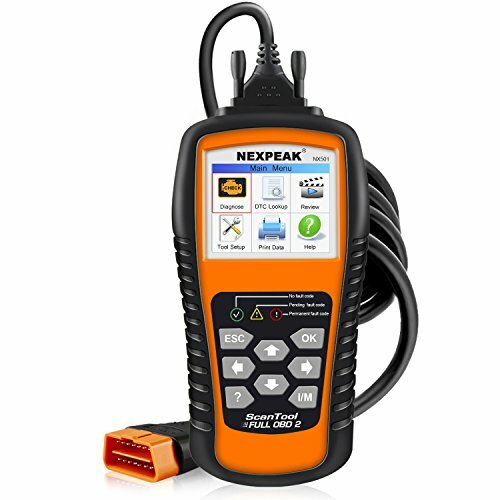 1, NEXPEAK NX501 OBD2 scanner only support 12v Diesel/Gas Vehicles, it can’t work on hybrid/electric cars. 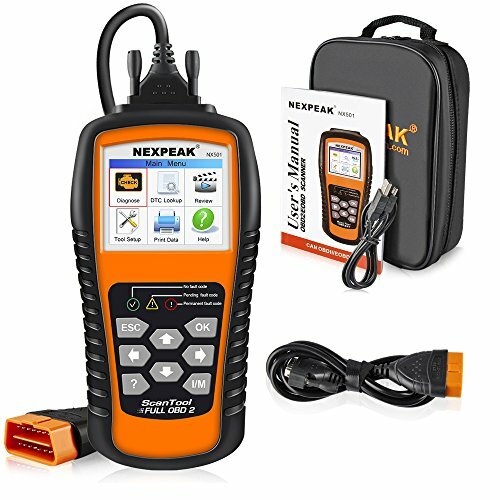 【Professional Code Reader for Cars】 NEXPEAK NX501 is an enhanced auto scanner that you can NOT ONLY check all engine related fault codes, find out what caused the check engine light comes on, turn-off Malfunction Indicator Lamp (MIL), locate bad O2 sensor, but also can monitor car battery health status, remind you when the battery need to be replaced. 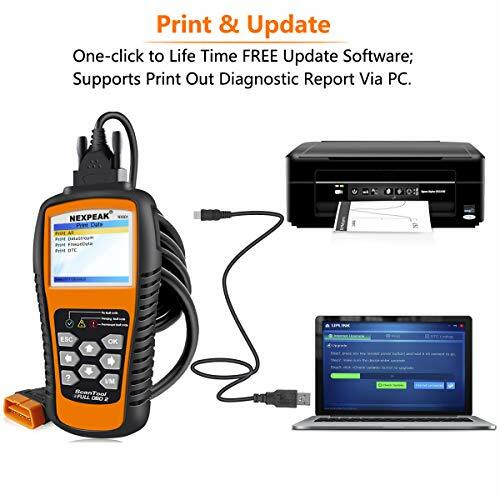 It’s a perfect scan tool helps you to determine if your car need to be repaired and avoid blind maintenance, saves your time and money. 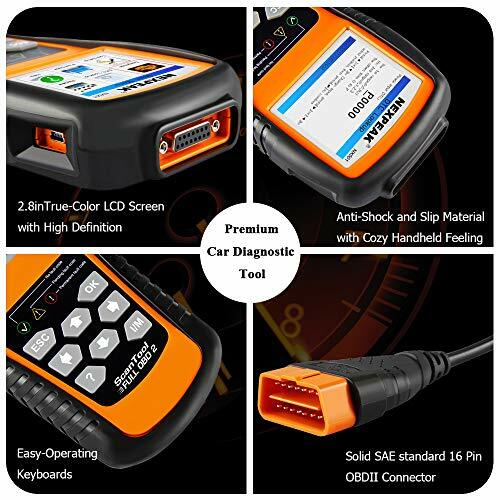 【Powerful Compatibility】 Accurately read and erase error codes on all OBD2 protocols vehicles with 16 PIN interface: KWP2000, ISO9141, J1850 VPW, J1850 PWM and CAN. It’s compatible with most vehicles in the USA from 1996 and newer, including passenger cars, SUVs, light trucks and 12V diesels. 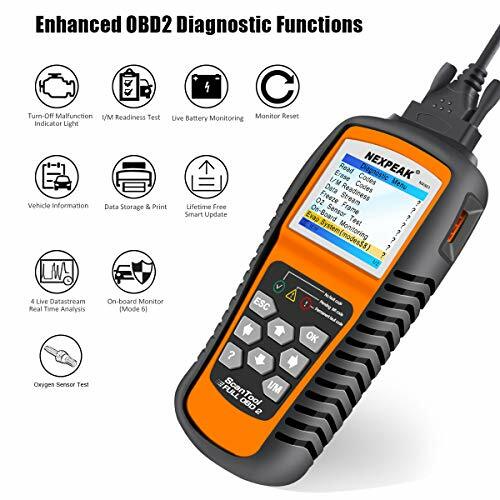 It’s a plug and play engine diagnostic code reader (Both Generic and Manufacture Specific Codes), no extra battery or apps installed needed. 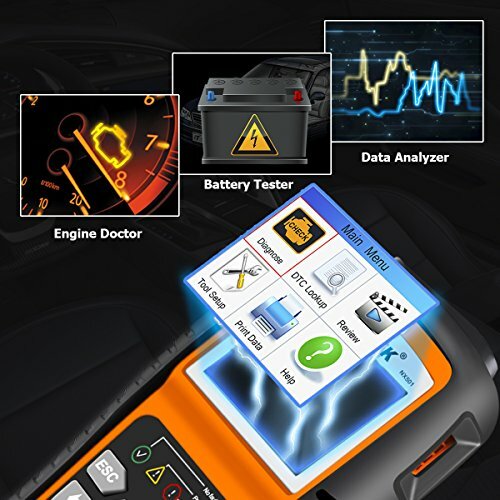 【BEST Stability and Performance】 This NX501 OBD2 car computer reader does all diagnosis via 2.8” color LCD screen, features with user-friendly UI design and STM-32 main chip, this diagnostic code scanner can access OBDII car diagnostics, DTC Lookup and Review 2-3 times faster than other OBD2 scanners. With patented design soft silicone keypad and Red-Yellow-Green LEDs indicators, you don’t even need to read the manual and will enjoy the car diagnostics just as the professionals. 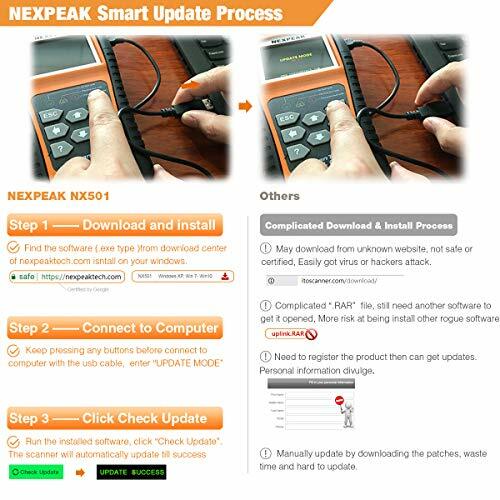 【Warranty & Update】 The NX501 OBD2 code scanner supports life-time free smart update service, Built-in memory card allows you to store diagnostic data and upload to computers for printing (for Windows ONLY). The NX501 package comes with a free carry case It’s a must have tool for you and your family.